Dreams are things you hope you will achieve, a vision is something you will actually achieve. To many, dreams mean hoping things will happen and I am sorry to say. but dreams don’t come true. Having a vision is what comes together. Our generation is filled with people sitting around dreaming of the possibilities rather than taking action on them. The idea of the law of attraction is that if you dream it will come true is not only misleading but is poising the minds of our youth. Rather we should teach people as I do, the law of taking action. Action is not something you say but rather something you do. So get off your ASSETS and make something happen. Leaders ooze action, they move mountains, plow through oceans and refuse to take no. They don’t sit on the couch waiting for the world to come to them. Leaders know that one of they key ingredients to success is short term sacrifices for long term success. I have never had a drink, I have never smoked, or have done drugs in my life. I don’t judge or condemned anyone who does but it is a choice I made. I remember how many of my friends pressured me to do stuff saying to me “you only live once” and I “should at least try it once”. It was not easy but I resisted. I had a vision. I was very very broke and I wanted to be someone, I wanted to change the world and that couldn’t happen if my mind was altered in anyway or I was at parties until 4am and hung-over in the morning. Ironically all of those people now in their 30’s are still trying to find the meaning of life and all want to work for me or teach them what I did. Resist temptation, stay strong because the sacrifices you make now will bear fruit for the rest of your life. Everyone needs to sacrifices something. If Mandela can sacrifice 27 years of his life for the greater good of South Africa, I am sure you can lay off the parties and all other temptations. Every leader makes decisions fast. There are 3 ways to think… mind, heart and gut. The more you think about doing something the more reasons you are going to find on why not to do it. That is called analysis by paralysis. This often is the killer of many great leaders and entrepreneurs. The second way is to think with the heart. Those tend to be emotional decisions not driven by any logic or reason but something that is often hard to describe. Many people have been burned doing this. The last way is gut decisions. 8 out of 10 times when you make a decision with your gut you are right but once it comes through our brains and hearts that is when things start becoming cloudy. So the lesson here is to make decisions on the spot and then you can re-evaluate it but entrepreneurs don’t say I have to think about it, they make a decision and then they re-evaluate it. Leaders disrupt because they continually innovate. If you are not innovating, if you don’t keep asking yourself how do I cut through the clutter, and how do I differentiate myself… there is very little chance you will ever succeed and even less become a leader. Remember how you change is how you succeed and if you don’t you will never truly live the life you want and you deserve. Remember there is someone behind you who is looking at taking your place in the market. Nelson Mandela spent 27 years in a prison for something he didn’t do and when he came out the first thing he did was forgive the person that had put him there. The world is such a mean and cold place at times filled with haters, backstabbers, liars, terrorist and wars. It is seeing through that and trying to make a difference that is often very difficult but a great leader cannot hold grudges. A leader has to be better than his detractors and has to dig deep down and think of the greater good. I have never met Nelson Mandela but working with his foundation and holding in my hand some of his handwritten letters he wrote in jail and his Nobel Peace Prize gave me chills. There is so much you and I can learn from this man. In the end there is a Mandela inside us all. At first it starts with those around us and great leadership is something that is contagious and spreads for the greater good of us all. But in the end if it was not for my coaches I wouldn’t even be writing this article because there is no manual on how to be a great leader but rather great people we look up too, emulate, and try to do it our own way. I salute you because I know deep down you are the next leader, I believe in you. Thank you for sharing this with me. Great Article and I have shared it with my connections. Others should do the same. Happy Holidays! There is a tide in the affairs of men. which, taken at the flood ,leads on to fortune; Omitted, all the voyage of their life is bound in shallows and in miseries. on such a full sea are we now afloat, And we must take the current when it serves, Or loose our ventures. JT Foxx is is so profound and powerful. You really got me thinking after reading this article. I am a leader and there is a Mandela in my life I will not stop until I achieve all that I was born to be in my life. I am the greatest thank you JT Foxx. Great article! Its good to know that gut feel and disruption is something that we can relay on, in order to be successful! Wow! I am speechless and inspired. Dreams vs Visions is my best, stopping dreaming and actually getting up and doing it. Refusing to settle for less and mediocre. Thank you. Thank you JT for showing our land and the world that you are genuine, sincere and definitely a man after God owns heart. Thank you for acknowledging our angel on earth, Madiba..Sir Nelson Mandela. Know that I believe firmly that if each invidual can understand that each person is answerable & accountable in heaven for ones own actions, then perhaps the legacy n sacrifices Madiba leaves behind and has made won’t be in vain. Madiba truely understood that Jesus died for our sins and the only way to ensure eternal life is to live the way he did..the question is can we all change and be the same ?.. Thank you JT..you are truely my inspiration..warm blessed wishs…in my daily prayer. South Africa will always be prosperous, we are living the dream of our fathers. Thank you JT, for taking the time to share your inspiration and knowledge with us in the true spirit of ubuntu. Long live Madiba’s legacy! Your article is written from the heart and with a great man in mind. Thank you for your inspiration as has Mr. Nelson Mandela (RIP). As a South African who lived and grew up with very little opportunities due to our previous political arena that was changed by the sacrifices made by our leaders like Mr. Nelson Mandela (RIP), I am inspired at what you as a person are doing to assist in the transformation of entrepreneurial enlightment to us. Yes we are all saddened by the passing of our great leader and have to celebrate his life. Great people always think great and inspire others to keep up their hopes no matter what and that what you are now JT Foxx. Thank you for remembering me for this article. Thank you JT for your moving tribute to our icon and an inspiring article. Thank you very much for this article.It has really put wind under my wings,i believe i will soar like an eagle. Fantastic Article JT, thank you. It’s truly a sad day not just for my fellow South Africans but the world who pays homage to a beautiful human being. His legacy of equality, dignity & forgiveness serves as a guiding light to illuminate the future. I look forward to meeting you when you’re next in South Africa. I am Uriah Cloete I’m 23. I’m going to invite you to my book launch, which Raymond aaron will be my publisher. I am honored to of met you! Thank you, the day I have funds to be coached, you are on my list thank you. As I read this article I remember that Madiba showed us perseverance and forgiveness that result to Love can bring peace 1st in a persons life then the person sorounding, as I battle with procrastination as an intreprenuer I will use this opportunity of implementing atleast 1 of the messages our great leader left for us each week with hope that eventually I will get there! Long live the spirit of Madiba Long live! wont mind receiving this kind of emails from everyday. I am really inspired. You are so inspirational. Thank you for re awakening the potential within us. Brilliant thoughts and for your tribute to Nelson Mandela, as a South African, I thank you. It is as you say, we all need to find the Nelson Mandela within us and to move beyond our self imposed limitations and reveal our true selves to the world for the greater good of all. I truly believe you came to South Africa at exactly the right time and made us sit up and take notice – that we do have the potential and that there are world leaders out there that can see something in us that we do not even see for ourselves.Thank you for believing in us when we did not even believe in ourselves, just like Madiba believed that as a nation we could change and live together, for the greater good of our future generations – you have taken a page out of his leadership book and shown us the way !! as yourself , really reaching out and connecting leaders like me with others , we will change the world for the better. I am honored to have met you. BEAUTIFUL – Thanks Jt ! Thanks, may we all really draw this inspiration and be Like Mandela. Thank you for sharing this great ideas with us. May God bless you abundantly. Well spoken! Mandela knew these 5 transformational lessons by heart! This man is truely amazing. Unfortunately we will never ever be able to meet him in person.again. He is an example of a great leader who managed to abolish apartheid and lead a nation into unity and fairness. Next year my wife and I will be at Mega Partnering South Africa. I sincerely hope to get a feel of the people of South Africa and see his legacy with our own eyes. Thank you JT Foxx for your incredible belief in us all and your great insights. You write with truth and reality that sends the exact message we need to hear and always with perfect timing! We are so grateful that you and your team came into our lives!! Thank you an inspiring article. His legacy makes me even more proud to be a South African. It gives us new hope and we need to start believing in ourselves and stop the doubt, the anger, the excuses, the dialogue and start living and acting what he stood for. Viva Freedom! Thank you for believing in South Africa when the people often dont. Powerful words J.T. It is time to take action. Im honered to have met you, the great people to look up to! Thank you for wonderful and most inspiring and memorising coaching in London! Wonderful thoughts JT Foxx. Dear JT, Thank you for being the example! I am so glad I have met yourpersonally in Amsterdam. You are my inspiration! Thanks JT for sharing your great vision and ideas on leadership around the globe. Mandela will continue to be an inspiring leader for humanity for years to come. Fantastic that you – as a global wealth coach – do also share your expertise and knowledge to improve the lives of many people in Africa, Europe, US, … Looking forward to meet you at Mega Partnering Africa 2. Since attending the workshop on Branding and Marketing I have been so inspired and i have to tell you that I took action on my book. We are sad for his parting but yet he has left us with the greatest gift and that is to never give up on your vision and everything is possible for in his leadership he brought a nation together that were miles apart and the world was his oyster. Thank you for encouraging us to live out the leadership in our country. It was a honour to meet you and Mr Stedman as well as your entire team. Looking forward to your next workshop. J.T., well said! We all have greatness to contribute and Nelson Mandela has proven that there are no excuses for any of us who strive to make a difference within the world we live. Thank you for taking the time to honor this great leader and giving insight as to what it takes to become a Great Leader. Thank you for this JT. It is amazing how sometimes we are all waiting to hear just the right piece to set everything into place. That is what this eloquent and thought provoking article was for me. You are a true inspiration. Looking forward to meeting you in 2 days in Toronto. Thank you for the inspiration. The power is within us to succeed and change the world. We just have to create it. I love what your company stands for. You are changing lives and helping people find their own power! Thank you for your poignant thoughts JT, putting off rest to put this message across. Indeed he was such a great leader to look up to…someone you can definitely say has made impact in making our world a better place. 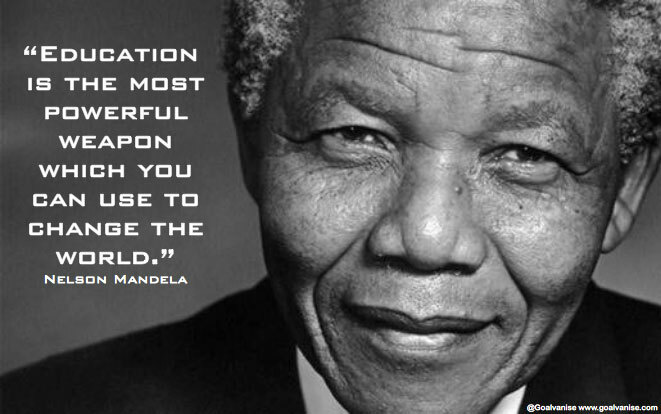 Thank you for your words – the loss of Madiba will take a long while for many of us to overcome. Thank you for this kind words and ispiration. Yes it is true we all have a MANDELA in us. I am planning to make use of the MANDELA in me. I need people like u to help and guide me. I am delighted and inspired once more by you. Surely, there is a Mandela inside each and everyone of us. Indeed, doing wrong and being mistaken as everybody is an easy task but it will never helps you to emerge from the ocean of sameness and swim into the lake of success as you wrote it so nicely. We can do better, and that effort differs one from another and that what Mandela did and still inspiring us. The effort to do good leaves an everlasting legacy, pages of book to get inspired from. Thank you for the inspirational lesson and weapon for this bench of future leaders you are trying to arise from the routine of laziness and sameness attitude that are overloading our mind and actions. I am so sorry for missing the last meeting for top leaders as I had to travel unexpectedly the same day. Thank you JT. I received your note at a time when I was really down and out in my job and couldn’t see my way forward. Attending your lectures brings out the positive in me. I really appreciate all you do for South Africans. Just the words I needed to hear…. Profound and meaningful. Thanks JT… you are truly an inspiration to me. Thanks once again. JT – thank-you for your thoughts. I’m so proud of people like you, and John Lee of Wealth Dragons! both of you preferring to put effort into giving a chance to little people like me, instead of retiring with your wealth! A thousand thanks to you both. Very powerful words, it’s not every day when you hear such profound meaning to life than what we always anticipate. Thank you for your tribute to Mr Mandela, hopefully even for us young people will be able to live out his legacy by recieving and exploring opportunities to not only better our lives but the lives of the nation and the next generation. Thanks JT for the inspirational article. As I am just starting to find my way in the world of entrepreneurs I really need this kind of coaching understanding and you made me have more respect and appreciation for all the good work from one of the world leaders, Nelson Mandela (made his soul rest in peace)! Thank you for your wise diction. A leader of your callibre is important in our society because the youth need mentorship all the time in all aspects of life….. I am very touched and inspired by your lessons and what you got out of Madiba, you touched on a very important notes”there’s is a Madiba in all of us”, “actions make dreams come true”,I could go on forever,Infact I think one can meditate on this lessons.I share your sentiment, you have renewed my spirit and my mind You are my inspiration. Thank you JT. Mandela was awesome. We are all blessed to live during the same time period as our beloved Mandela. I was at school during the 1980’s and we were told by our teachers that Madiba will bring about political freedom and we, as the new leaders, must bring about economic freedom by means of employment for all. I remember well how our teachers have relayed the messages from Madiba to get education to be instrumental, start businesses and create jobs. I think we are on our journey to create jobs and honour the messages from the 1980’s from Madiba. Wise lessons from Nelson Mandela translated by you. It is really inspiring to read your post and also a great reminder to have another look at life and the people I want to associate with. Thanks you very much to boost my confidence really appreciate. Thank you for the massage and the motivation. May God bless you more. JT FOXX, you have written such an incredible article. I have learn to ACT with effect after digesting what you have said.Thank you bra; am happy not to bit by bush but to follow what is best for my future. Wow, what a great article. Madiba touched peoples lives in a different way. I thought I knew who Madiba was but after hid death there was so many things I learnt about about him. His was indeed a true icon. On the 2nd and 3rd of December was at CTICC listening to you and members of your team, went back to work a changed person. I told my colleagues to attend your workshops, they are powerful. I am so inspired by this .I am just speech less .Madiba was the good leader. I am very touched and inspired by your lessons, thank you so much. I will definitely share with other people! Thank you!!!!! a shout out from Dallas Tx! Just wanted to say keep up the excellent job!